2017 is almost gone and it’s time to sort through a huge cache of quality year-end theatrical releases. Here is my top 10 list of films I definitely want to see before the cinemas close this year. All release dates are subject to change. Click on each title for video preview link. This film season has largely been a “hot or cold” experience. Hopefully the remaining U.S. film releases will evenly heat up the cinemas to a warm, stable blend. Here is my top 10 list of films I definitely want to see before the end of 2010. All release dates are subject to change. 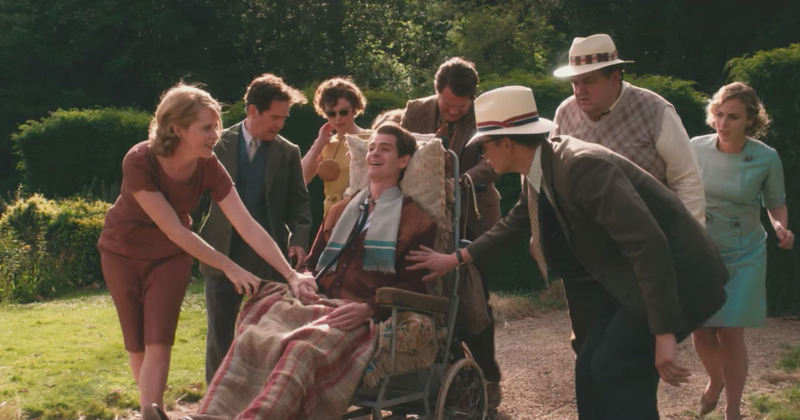 Andrew Garfield (Hacksaw Ridge, Silence) and Claire Foy (The Crown Amazon Prime series) star as Robin and Diana Cavendish who pioneered mechanical ventilator use for disabled/paralysed people in wheelchairs after Robin got polio at 28 years old. Andy Serkis’ feature directorial debut inspires and tells their inspiring story based on true events. Tom Hollander (Spider-Man Homecoming) also co-stars as David “Bloggs” Blacker. 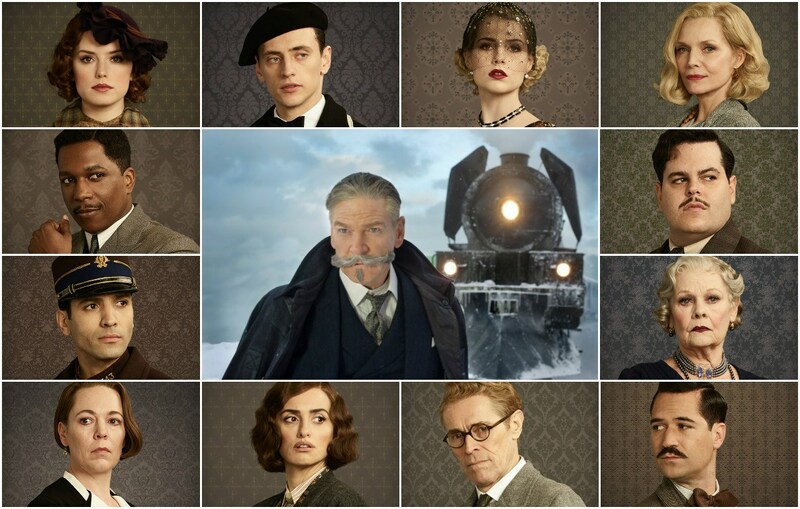 Kenneth Branaugh adapts the Agatha Christie mystery novel while directing and co-starring with the super star cast of Daisy Ridley, Johnny Depp, Michelle Pfeiffer, Penélope Cruz, Judi Dench, Willem Dafoe, Josh Gad, Lucy Boynton (Sing Street), Marwan Kenzari (Wolf, The Mummy) and frequent Branaugh collaborator Derek Jacobi (Dead Again, Cinderella). 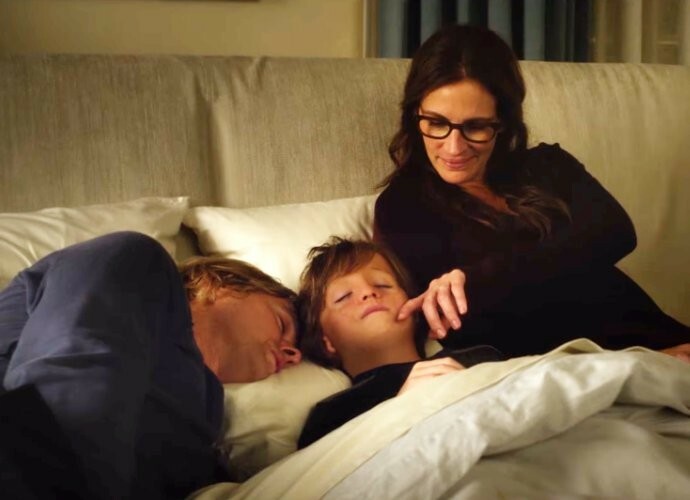 Rising young Jacob Tremblay (Room) takes on another challenging role, based on true events and the New York Times bestseller, as a boy with a facial deformity who experiences public school for the first time supported by his parents Isabel and Nate, played by Julia Roberts and Owen Wilson. Izabela Vidovic (The Fosters TV series, Homefront) and Mandy Patinkin (The Princess Bride) also star. DC Comics’ ultimate ensemble begins their journey in their heroic universe with Batman (Ben Affleck), Wonder Woman (Gal Gadot), The Flash/Barry Allen (Ezra Miller), Aquaman/Arthur Curry (Jason Momoa) and Cyborg/Victor Stone (Ray Fisher). Co-stars include Amy Adams as Lois Lane, Connie Nielsen as Queen Hippolyta, Diane Lane as Martha Kent, Amber Heard as Mera, Billy Crudup as Henry Allen, J.K. Simmons as Commissioner Gordon, Jeese Eisenberg as Lex Luthor, Ciarán Hinds as Steppenwolf and Jeremy Irons as Alfred Pennyworth. Rey (Daisy Ridley) and Luke Skywalker (Mark Hamill) take an epic journey through the Force as Finn (John Boyega) and Poe (Oscar Isaac) battle the Empire and Kylo Ren (Adam Driver) in the eighth episode of the popular sci-fi saga. 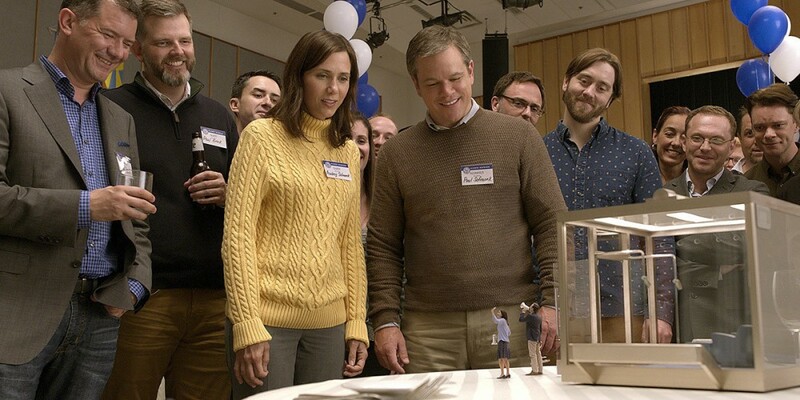 Matt Damon and Kristen Wiig play a couple who shrink themselves into a new society in this fantasy drama/comedy co-written and directed by filmmaker extraordinaire Alexander Payne (The Descendants, Nebraska, Sideways). Christoph Waltz, Hong Chau, Jason Sudeikis and Udo Kier. This biographical musical is inspired by circus show innovator P.T. 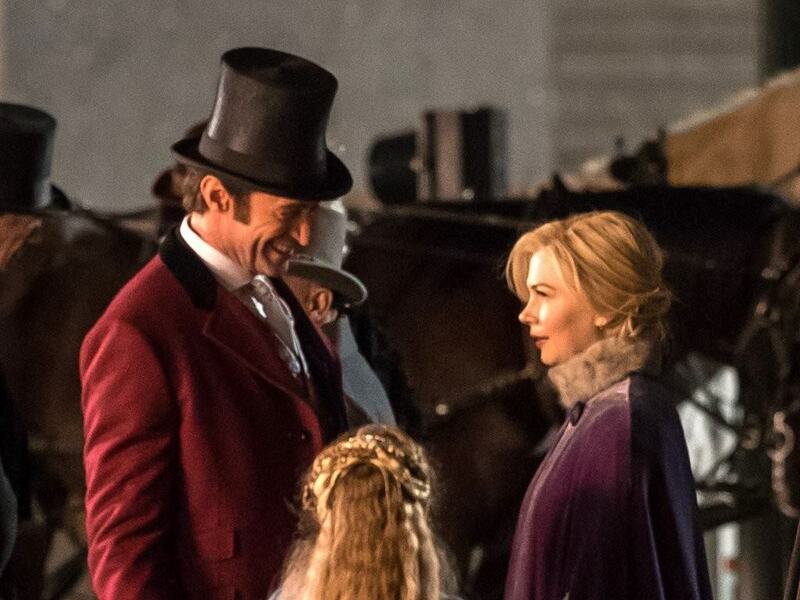 Barnum who is played by Hugh Jackman. Zac Efron, Michelle Williams, Zendaya and Rebecca Ferguson co-star. Jessica Chastain is on a roll after an amazing performance in the political lobbying drama Miss Sloane. She rolls the dice in this drama with Idris Elba based on real events of Olympic skier Molly Bloom who went on the manage high-stakes poker games that eventually attracted the attention of the FBI due to the famous (and infamous) participants. Kevin Costner, Michael Cera, Jeremy Strong, Chris O’Dowd, and Bill Camp also star in master screen scribe Aaron Sorkin’s directorial debut (he also provides the screenplay based on Bloom’s novel). 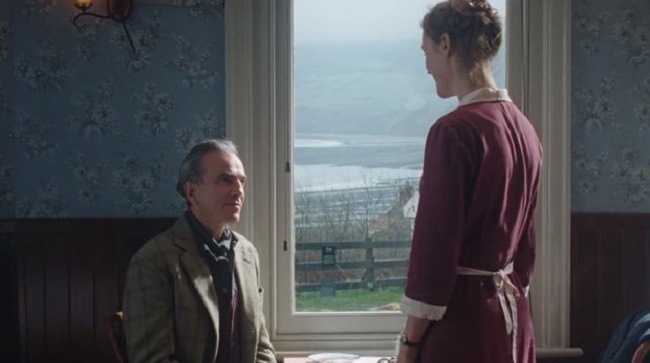 Daniel Day-Lewis’ apparent swan song? Yes, I’m there. The long running time might be a challenge, but Paul Thomas Anderson’s filmmaking skills, including screenwriting, makes this one a must see. Set in 1950s London, this R-rated (for language) drama about a dressmaker who starts a romance with a young woman. Enjoy the remaining movies in 2017! This entry was posted in 2010s Film Reviews, Film Reviews and tagged Agatha Christie, Breathe, Daniel Day-Lewis, Downsizing, Film, Greatest Showman, Hugh Jackman, Justice League, Last Jedi, Luke Skywalker, Michael Siebenaler, Mike Siebenaler, Molly's Game, Murder on the Orient Express, Paul Thomas Anderson, Phantom Thread, Same Kind of Different as Me, Star Wars, Tall Writer, Wonder. Bookmark the permalink.